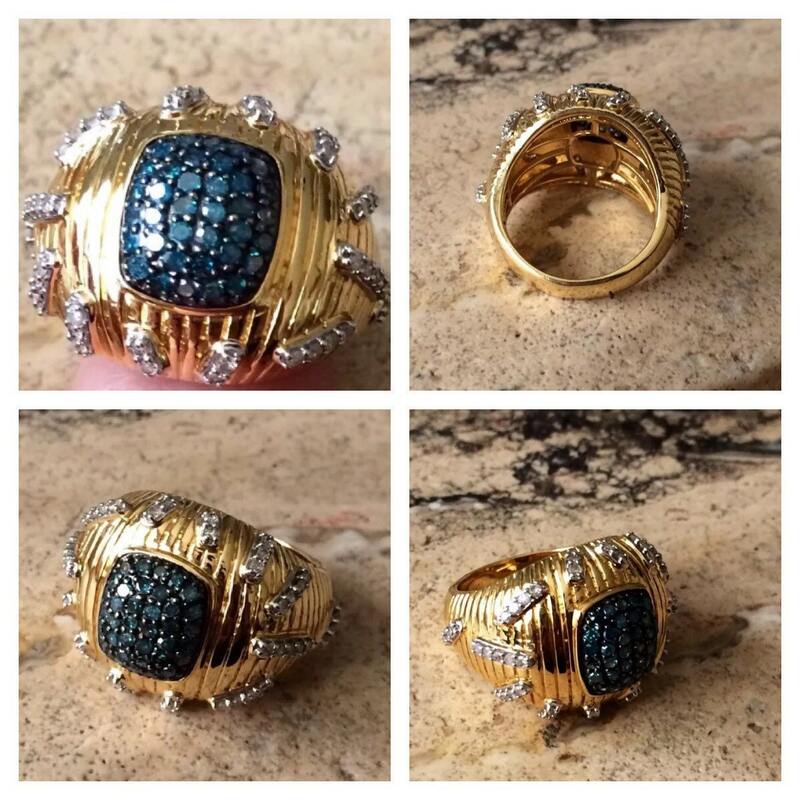 Something new and something blue !14K Vermeil 0.75ctw Blue & White Diamond Ring. 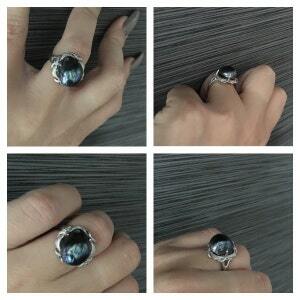 An abstract design created from luxurious diamonds. 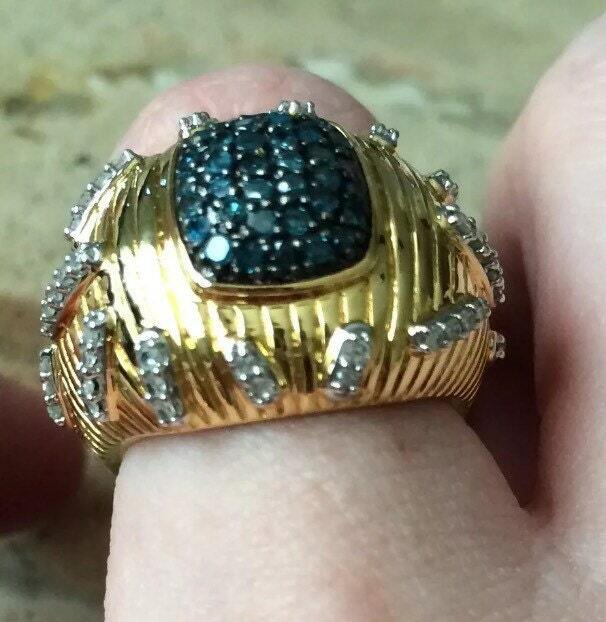 Crafted from 14K yellow gold over sterling silver with black rhodium accents, this ring showcases a cluster of various round single cut 1.4mm blue diamonds in the center, surrounded by wide setting featuring smooth ridges. 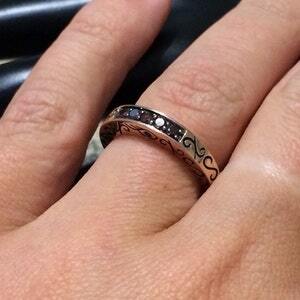 Strips of round single cut 1.1mm white diamonds are abstractly placed throughout this ring for a unique look. 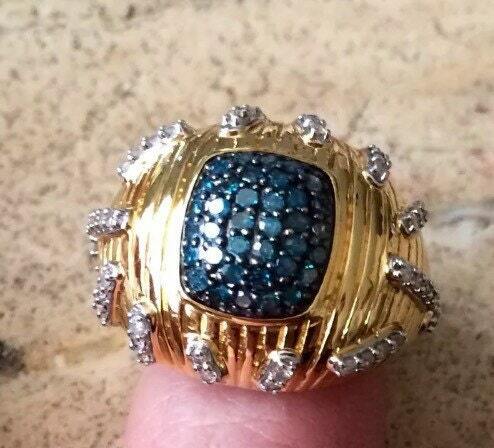 The total diamond weight is approximately 0.75ct. All diamonds have a clarity grade of I2-I3 and the white diamonds have a color grade of H-I. 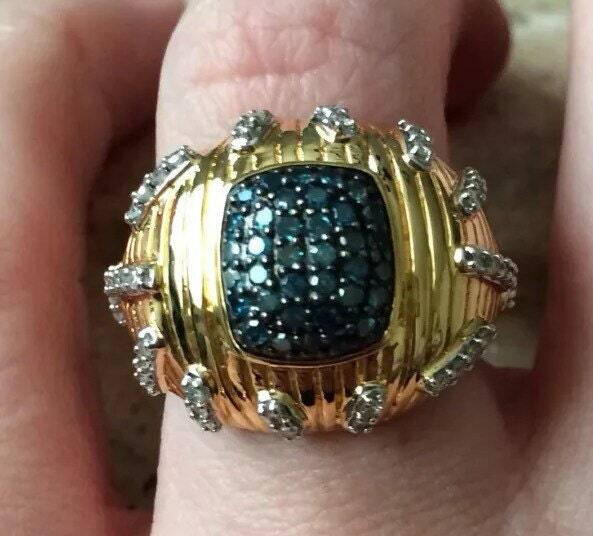 The ring measures 11/16"L x 15/16"W x 5/16"H. All stones in pave settings. 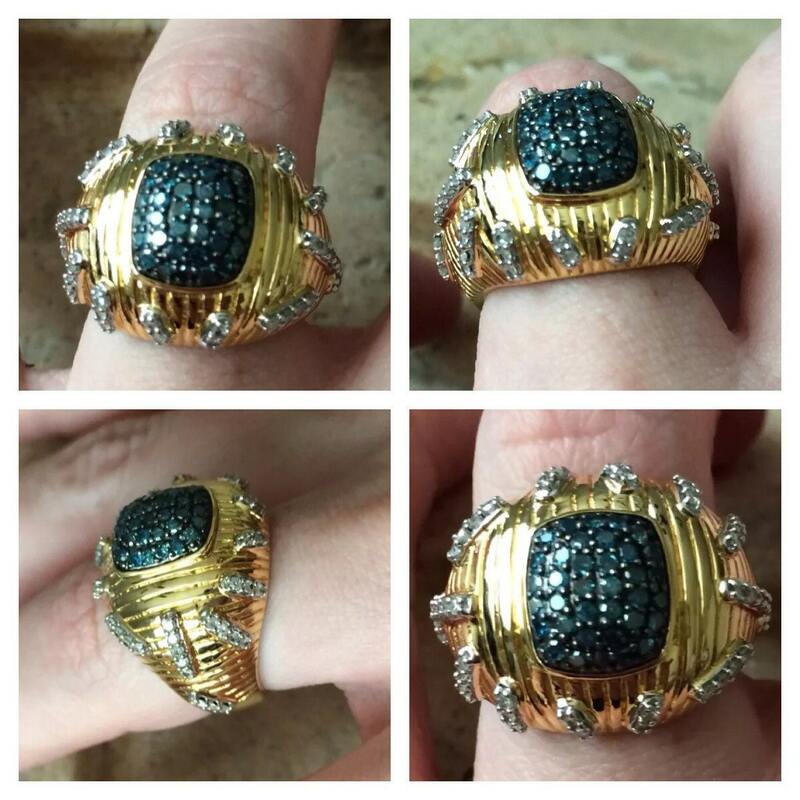 14K Gold 0.25ctw Fancy Colored & Black Diamond Curlicue Ring. Look pretty in pink hues! 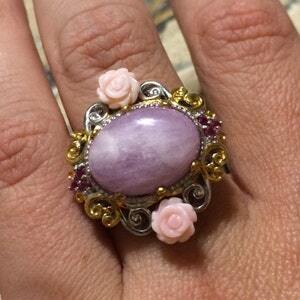 16 x 12mm Kunzite, Pink Sapphire & Pink Conch Shell Flower Two-tone 18k Sterling Palladium Ring. Dance the night away! 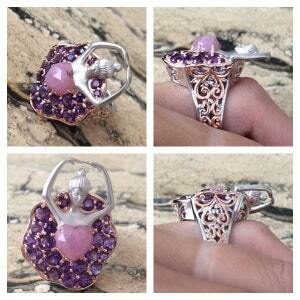 4.14ctw Non treated Pink Sapphire & African Amethyst Ballerina Ring Two-tone 18k Sterling Palladium Ring.